Sam Love from Gary, Indiana is a poet and recipient of an "Our Town" grant from the National Endowment for the Arts. 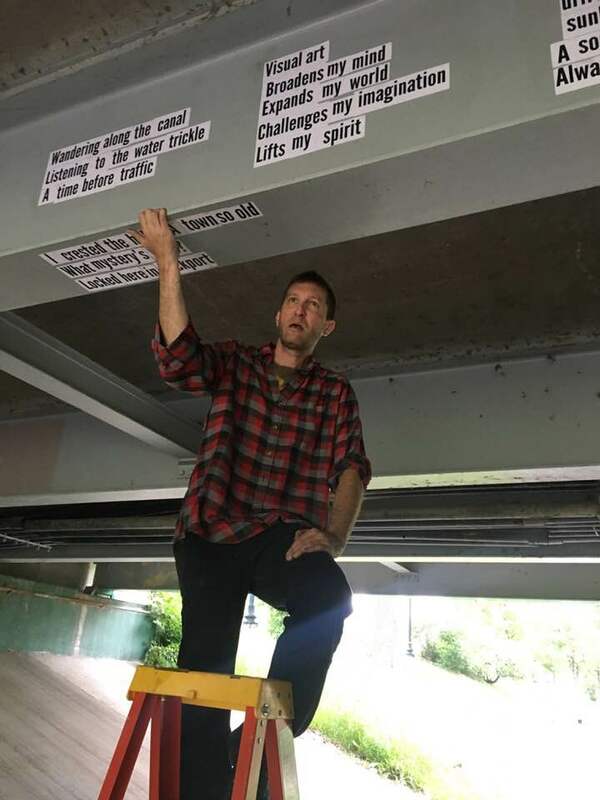 The Lockport Poetry Project will be a progressive additive performance as poetry is wheat pasted underneath the 9th Street bridge along the I&M Canal. The poems are created by community members. This program is in partnership with the Gaylord Building, a site of The National Trust for Historic Preservation. National Endowment for the Arts funded poet brings poetry to the masses.